NamSor™ is a European designer of name recognition software. 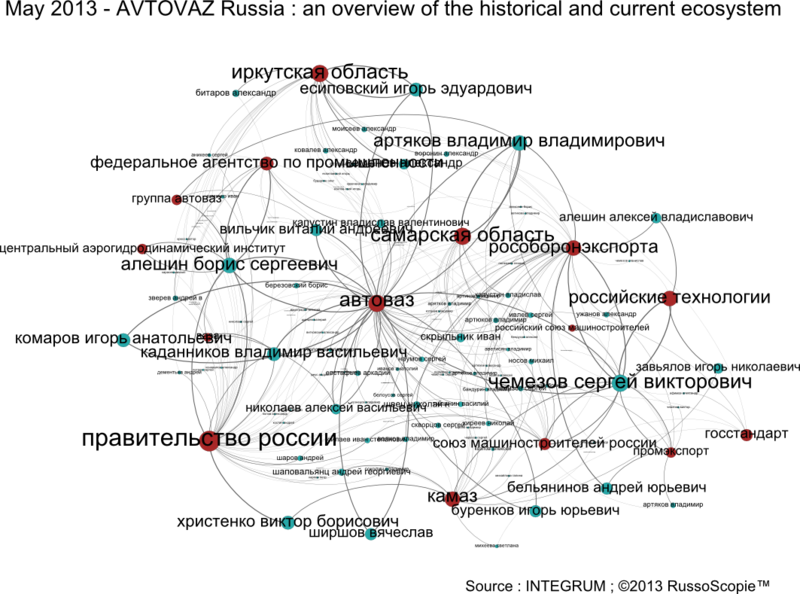 Our mission is to help make sense of the Big Data and understand international flows of money, ideas and people. Our specialized data mining software recognizes the linguistic or cultural origin of personal names in any alphabet / language, with fine grain and high accuracy. Names are meaningful : we use sociolinguistics to extract their semantics and deliver actionable intelligence. If you missed yesterday’s Webinar, register now the next one about Gazprom & Rosneft. It will take place on the 27th of May (10AM London, 11AM Paris, 13AM Moscow). 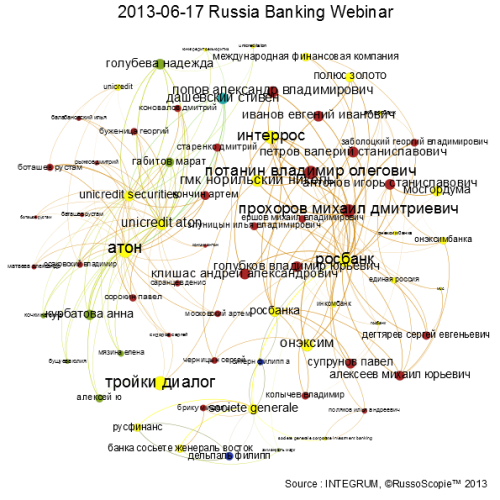 Data analysts can download the GEPHI source file here 201305_Avtovaz_Russia_102. If you would like to share you own #DataViz, please mention RussoScopie/INTEGRUM as the DataSource and let us know, so we can re-tweet and share. Enjoy the freebie! Yesterday, the French White Paper on defence and national security (2013) was released for publication. The fast growth of Russia’s military expenditure and Energy as a major geopolitical concern of Russia, demonstrate Russia’s intent to reassert its economic and military power. In such context, the relationship of Russia with European countries can only be contrasted. With France, the relationship with Russia varies from active cooperation (military equipments, logistical cooperation during Afghanistan retreat), convergence of views (Mali, Afghanistan) and divergence of views (Syria). The subtle balance between those different dimensions of the relationships with Russia, for France but also the European Union, is there to last. France political goal for the next NATO Summit in Chicago is to support stronger cooperation with Russia. Since the European Union is a neighbour of Russia, some EU members share a common border. The reinforcement of stability of the Eastern European countries, based on cooperation with Russia according to the principles solemnly proclaimed twenty years ago by the Charte de Paris, is a key concern for the security of Europe, consequently of France. Le budget militaire de la Russie est en croissance rapide. La question énergétique est désormais un enjeu majeur de la politique étrangère russe. Ces évolutions attestent que la Russie se donne les moyens économiques et militaires d’une politique de puissance. Dans un tel contexte, les relations [de la Russie] avec les pays de l’Union européenne ne peuvent qu’être contrastées. Avec la France, les relations conjuguent des dimensions de coopération (équipements militaires, appui logistique lors du retrait d’Afghanistan), des convergences (Mali, Afghanistan) et des divergences (Syrie). La France a fait de la coopération étroite avec Moscou un de ses objectifs politiques pour la déclaration du Sommet de Chicago de l’OTAN. L’Union européenne est désormais dans une situation de voisinage avec la Russie, certains de ses membres partageant avec elle une frontière commune. La consolidation de la stabilité aux marges orientales de l’Europe, sur la base de relations de coopération avec la Russie dans le cadre des principes solennellement posés il y a plus de vingt ans par la Charte de Paris, est un enjeu essentiel pour la sécurité de l’Europe, et donc de la France. Read the full document White Paper on defence and national security, 2013 (in French). RussoScopie provides access to INTEGRUM, the leading electronic collection of Russian and CIS mass media and provider of Russian Business Data. The first edition of the French-Russian Observatory Annual Report (2013) is now available (in French). Read the Table of Content and order now at a discounted price or from the 2nd of May online with FNAC. The Russian version will be presented during the next St. Petersburg International Economic Forum on 20-22 June 2013. Это издание представляет глубокий анализ современной ситуации в России и охватывает самый широкий круг тем: экономика, внутренняя политика и общество, регионы, внешняя политика и оборона. Один из разделов посвященвопросам истории и искусства, он отражает богатство, глубину и разнообразие франко-российских отношений. Французское издание Ежегодного доклада было торжественно представлено публике 18 апреля в Национальной ассамблее в Париже. Презентация российского издания запланирована на Петербургском международном экономическом форуме 20-22 июня 2013 года. The CCIFR and the French-Russian Observatory are subscribers of INTEGRUM Russian Media Monitoring and INTEGRUM Companies. Created in March 2012 and linked to the Economic Council of the French-Russian Chamber of Commerce and Industry (CCIFR), the French-Russian Observatory aims to produce an in-depth expertise on Russia, and promote a greater awareness of French realities among Russian political and economic elites. It publishes policy papers and the yearbook on Russia. It also organizes events such as colloquiums, seminars, press conferences in Paris, Moscow and Russian regions. The following are members of the French-Russian Observatory’s scientific advisory board, both scholars and experts, who actively participate in its work: Alain Blum, Pascal Boniface, Isabelle Facon, Peter Kopp, Jean Radvanyi, Marie-Pierre Rey, Yevgeny Gavrilenkov, Sergei Guriev, Sergei Karaganov, Fyodor Lukyanov, Ruslan Pukhov, Konstantin Simonov. INTEGRUM professional databases cover Russian newspapers, magazines, teletypes of information agencies, analytical and statistical bulletins, texts of laws, decrees, blogs etc. as well as Russian Companies. Our next webSeminar will take place on the 6th of May (10AM London, 11AM Paris, 13AM Moscow) and will cover Business intelligence, in the context of Economic diplomacy. Economic diplomacy not only promotes the state’s prosperity but also, as occasion demands and opportunity permits, manipulates its foreign commercial and financial relations in support of its foreign policy – as in the case of US/UE sanctions against Iran. Accordingly, economic diplomacy is a major theme of the external relations of virtually all countries. At home, economic ministries, trade and investment promotion bodies, chambers of commerce, and of course foreign ministries, are all participants in economic work. Current trends include increasing collaboration between state and non-official agencies, and increased importance given to WTO issues, the negotiation of free trade and preferential trade agreements, and accords covering investments, double taxation avoidance, financial services and the like. Abroad, embassies, consulates, and trade offices handle economic diplomacy. The main focus is on promotion, to attract foreign business, investments, technology and tourists. Economic diplomacy connects closely with political, public and other segments of diplomatic work. Governments gradually take interest in the practices of the corporate world (organization, tools and methodology). Young computer-savy diplomats use Twitter and LinkedIn, VK in Russia or Sina weibo in China. Implementing heavier tools, such as Customer Relationship Management (CRM) or BI to improve the efficiency of the Economic diplomacy remains a challenge. Some diplomats are already familiar with all-in-one databases combining media information and data about companies and decision makers (such as Factiva Dow Jones or LexisNexis). INTEGRUM is a similar all-in-one database focused on Russia and the CIS. Russian (and the CIS) is already a large market – but not an easy market: there is competition for it. It is a world class player in the field of commodities (energy, metals, agriculture). In some industrial sectors, such as the nuclear industry, it is already a fearful competitor. Do not overlook Russia ; and get the right tools for an efficient Economic diplomacy. Our next weekly webSeminar will take place on the 24th of April (10AM London, 11AM Paris, 13AM Moscow) and will cover Nation branding, place marketing and attracting Russian tourists. What are the expectations of Russian tourists? Atout France, the French tourism promotion agency, expects 1.2 million Russian tourists to visit France in 2013 and published an extensive study of the profile of those visitors. The DGCIS also published an extensive statistical analysis of the adequacy of the offering with the demand of foreign tourists, broken down by countries – including Russia and the other BRICS. But if that’s too much information, you may want to read an outdated but crispy Portrait of a Russian Tourist in Paris by Dr Alexandre MELNIK. No doubt that other international destinations -Germany, Great-Britain, Turkey, Dubai, China- look with interest at this same population of middle-class or wealthy Russian tourists. Dubai’s Department of Tourism and Commerce Marketing has been extremely successful in using dedicated channels such as Aviamost to promote its strong brand in Russia and the CIS. If we trust Google Trends to give us a clue about the Future, Dubai could overtake France as early as 2015 in terms of overall interest by internauts. 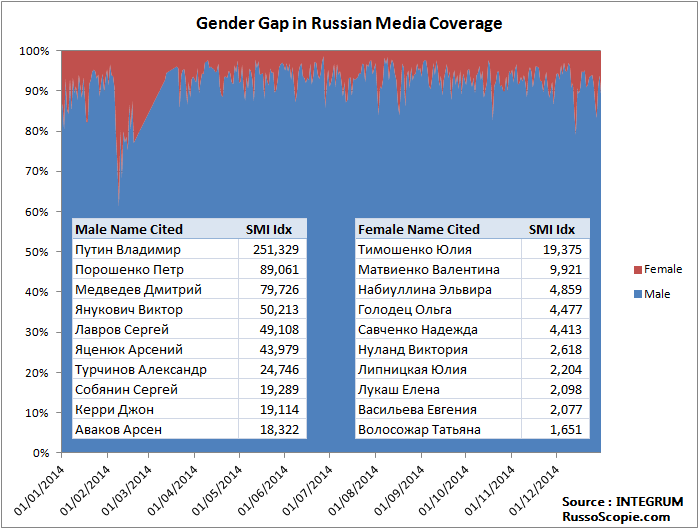 What about Paris: can we see a similar trend, looking through the eyes of Russian media? Russian interest in Paris remains very strong, but we see a growing interest in tourism in Dubai. Also, it seems that when the Russian economie does well (ex. 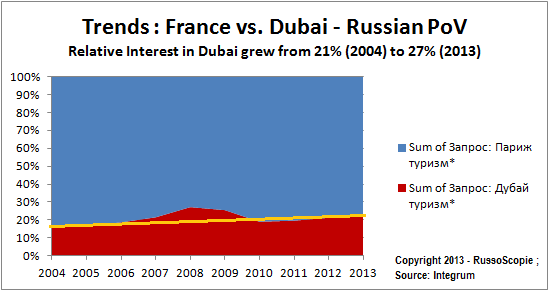 pre 2008 crisis), the interest of Russians in Dubai -as a shopping and business destination- tends to rise. The country image drives the tourist’s expectations. -In the eye of Russian people, are cities like London, Paris and Dubai associated with Business or Leisure ? -How much are countries like Spain, Italy, France associated with Arts & Culture?